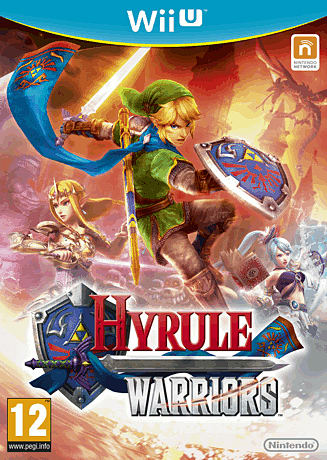 New content is on the way for Hyrule Warriors, the Wii U exclusive Legend of Zelda themed melee combat game from Dynasty Warriors developer Omega Force. The Majora's Mask Pack will, as the name suggests, include content related to the classic N64 Zelda adventure. That means you'll be able to play Hyrule Warriors as Young Link, but don't be fooled by his shorter stature. He wields the demon mask, which turns him into a rampaging beast when worn. You won't stop attacking for as long as you wear the mask, and all your attacks are strengthened. You'll also be able to play as Tingle, the slightly creepy 35-year-old bloke who wants to be a forest fairy so much that he dresses like one. He'll at least be useful in a scrap, since he can use his balloon to jump around the battlefield, blowing enemies away. He's also able to attack while dodging. Finally, there are new Majora-based costumes for Lana, Impa and Sheik, plus a new adventure map called Termina. The map features the spooky grinning moon from the N64 game, which grows closer all the time. You'll collect new item cards, powers and weapons as you progress through the map. If you just want to play the original classic Majora's Mask, don't forget it's getting a long-awaited 3D re-release on 13 February and will launch alongside the New 3DS XL console.